If you’re eager to lose inches by the time summer rolls around, you’re going to need a game plan. If you’re on a healthy diet or have been thinking about starting one, you want all your hard work to pay off. No question, living a healthy lifestyle can be tough. There is no shortage of stumbling blocks that can steer you and your diet off course. We’ll share some of the factors that can ruin your diet, and give you some pointers on how to be healthy so you can look and feel great. Published in the Annals of Behavioral Medicine journal, a research study conducted at the University of Birmingham in the United Kingdom investigated different social and environmental factors that increase the chances that those trying to live a healthy lifestyle will cheat on their diets. Each of the 80 participants in the study (each of whom was on a diet or part of a weight loss group) tracked every temptation that came their way in an electronic diary on their cell phones. They were also asked to record situations in which they gave into their temptations, as well as situations in which they were able to stay strong and stick to their diets. So, what were the findings? Those being monitored in the study tripped up over half the time when they faced temptations, and were particularly tempted to cheat on their diets at during nighttime hours. If you’ve ever had a late-night craving, this may not surprise you. It can be tough to stay strong after a long, stressful day. But you may find it surprising that participants were more likely to break their diet to have an alcoholic beverage than to overeat or indulge in a sweet treat. That glass of wine or bottle of beer with dinner, or to let off some steam after work, is fine if it’s occasional, but they’re loaded with calories, which can quickly add up if you’re not careful. What else caused those trying to live a healthy lifestyle to stumble off their diets? Well, self-control seemed to falter when participants were surrounded by other people. When you’re with friends who are eating whatever they please, living a healthy lifestyle and sticking to your diet can be a real challenge. The larger the temptation, the more likely the participant was to slip. Interestingly, if the participants hadn’t been recording their diet failures in their diet diaries, they may have failed even more often. It’s not unusual for your diet to improve slightly when you’re tracking it because you’re more conscious of your good – and not so good – behaviors. Try keeping a diary for two weeks, recording different temptations you face and when you falter. Pinpointing your personal patterns and habits will help you identify weaknesses and develop strategies to overcome them. One strategy is to write a list of the reasons you’re trying to lose weight and read it when you’re feeling tempted to eat something less than healthy. Try to eat small, healthy meals or snacks every few hours so you aren’t starving at the end of the day. That’s when you’re more likely to kick your diet to the curb and eat just about anything in sight. Eat your meals slowly and sitting down, rather than on the go or when you’re distracted with another activity like watching TV, surfing the net or working. When you eat mindlessly, living a healthy lifestyle goes down the drain. 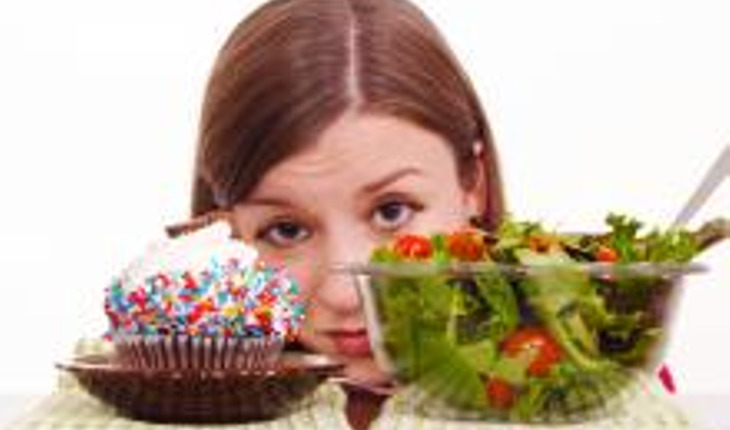 It’s so easy to consume countless calories that aren’t part of your plan and not even think about it. That doesn’t mean you can’t snack – it just means your snacks should be planned. If you’re interested in learning how to be healthy and maintain a healthy lifestyle, one of the best things you can do for yourself is choose an accountability partner, someone you check in with regularly, discuss your habits and share how you’re doing. Many people find this to be a self-discipline booster. To help keep your food portions in check, use a salad plate rather than a dinner plate as well as smaller cutlery. This helps trick your body into thinking you’re getting a lot of food. Last but not least, remember that just because living a healthy lifestyle is your objective, you don’t have to be perfect. Everybody slips up sometimes. It’s important to be able to forgive yourself – you’re human after all – and get back up on that diet horse. Use these tips on how to be healthy – and stay healthy – and you’ll be in tip-top shape in no time. Of course, exercising regularly in addition to simply eating right will help you reach your goals a whole lot faster!